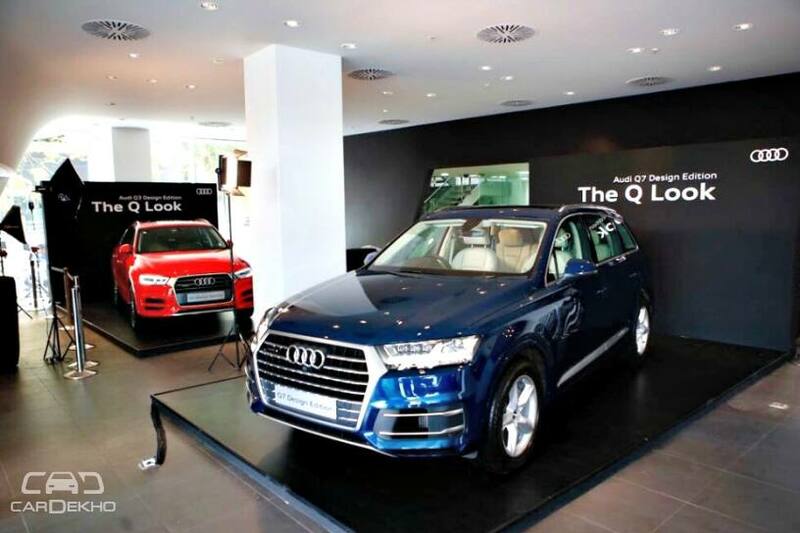 At the launch of the petrol-powered Q5 45TFSI, Audi showcased special editions of the Q3 and Q7 SUVs that are on sale in India. Called the Design Edition, Audi hopes the new special edition variants of both SUVs will give them a fresh appeal. The Q3 and Q7 Design Edition are set to go on sale soon and will be available in limited numbers. So, let’s take a look at what sets them apart from the regular variants. ‘quattro’ decals on the rear door. At the event, Audi chose to showcase the special editions in their diesel guise. However, it remains to be seen if the Ingolstadt-based automaker will offer them with a petrol engine as well. The Q3 is the most affordable SUV from Audi’s stable. It can be had with a choice of two engines - a 1.4-litre 30TFSI petrol that puts out 150PS of power and 250Nm of torque or a 2.0-litre 35TDI diesel that packs 150PS and 340Nm. The petrol engine is offered with a 6-speed automatic, while the diesel engine sends power to the wheels via a 7-speed automatic. The diesel-powered Q3 can also be had with quattro all-wheel drive (AWD) technology. The flagship Q7, too, is offered with both petrol and diesel engine options. The petrol motor is a 2.0-litre motor that generates 252PS and 370Nm, while the 3.0-litre diesel engine makes 249PS and 600Nm. Both engines send power to all four wheels via a 7-speed auto ‘box and quattro AWD. Audi hasn’t announced the prices of the special edition variants of the SUVs. However, expect them to command a slight premium over their standard variants. Currently, the Q3 is priced between Rs 36.53 lakh and Rs 42.88 lakh, while the Q7 range starts at Rs 73.37 lakh and tops out at Rs 85.18 lakh (all prices, ex-showroom India).